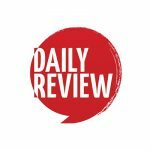 Comment of the week: what the aliens will make of Sam Newman, free speech & Australia in 2017 | Daily Review: Film, stage and music reviews, interviews and more. We like to think our readership is a fairly forward-thinking crowd, but today’s comment of the week comes to us directly from the future. On Monday, Helen Razer posed the question: What will future generations make of Sam Newman and his quest for free speech? Alien Archeologist’s Report. Year 2500. Cultural synopsis: Broad distraction over indenty issues; fixation on principle-thinking; exponential increase in socio-economic inequality; elite plugged into AI / VR while robots killed the working class; elite then drowned by floods while distracted by AI / VR; small band of deserters were unfortunately killed by break-out of nuclear war between other post-flood States. Formulation: Lack of perspective thinking and integrative thinking, failure of separative feeling management, general lack of stewardship, inability to form functional solidarity preventing crtical-mass low-level thinking and feeling (and the consequent actions).